Providing you the best range of table top uv curing machine with effective & timely delivery. 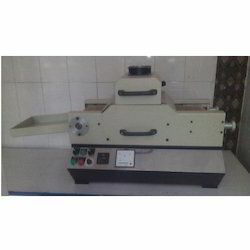 Table Curing Machine is used for lab purpose, screen printing, spot coating etc. Due to its compact size it is very easy for handling. This machine is suitable for small and medium job runs.